Thanks again for the very helpful educational uW & EE tutorials! 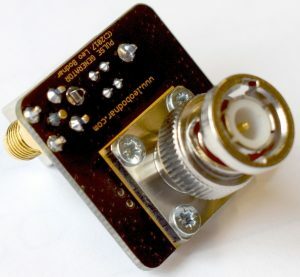 Very nice demonstration of the Leo Bodnar GHz pulser, which would be helpful for my amateur experiments in radio astronomy. I am saving up to purchase one. say on eBay such as the Tektronix 1180x or the HP 54710, HP 54720d type scopes. so that we can at least get started at the bench, until we can save & then afford nicer newer GHz equipment ? Thank you very much for review of the Sain Smart USB-C TS80 Portable Soldering Iron. I know just what to give my wife for Christmas now.